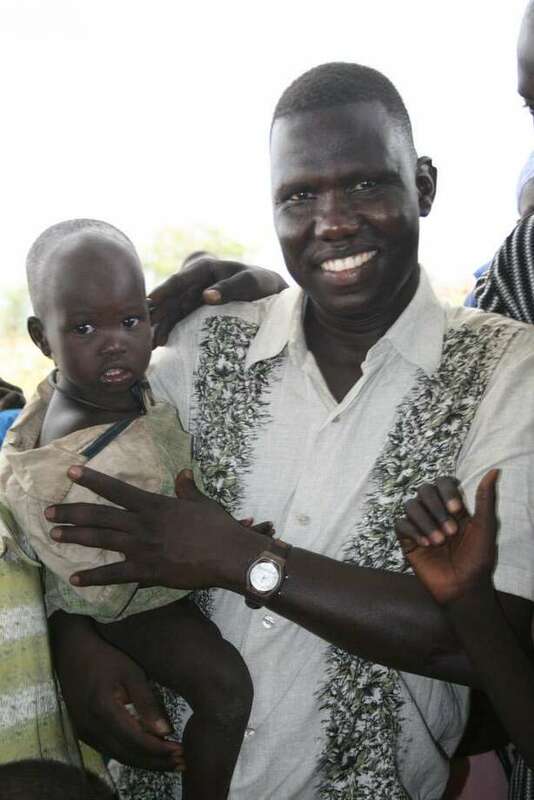 As small children, Gabriel Bol Deng, Koor Garang and Garang Mayuol fled their villages in South Sudan due to civil war. They became a part of a group of thousands of other boys with a similar story, nicknamed “The Lost Boys” upon resettlement in the United States in 2001. In May 2007 the three men, then in their twenties, embarked on a journey back to Sudan. Accompanied by filmmaker Jen Marlowe and journalist David Morse, they discovered whether their homes and families had survived, viewed the situation in South Sudan, and considered how they could help their community rebuild after devastating civil war. Along the way, the young men assessed the hopes, dreams and fears of the Southern Sudanese people nearly three years after the signing of the Comprehensive Peace Agreement. They also explored the connections between the conflict in South Sudan to the conflict in Darfur, probing the larger questions of identity and ethnicity in Sudan. Gabriel took the first steps toward starting a school in his village, and Koor brought medical supplies and volunteered at a clinic. They also returned to Kakuma Refugee Camp in Kenya. An award-winning documentary, Rebuilding Hope, about their journey will be screened at the Fairfield Museum on Sunday, April 15, 4-5:30pm. Rebuilding Hope will be shown at the Museum, 370 Beach Road in Fairfield, and filmmaker Marlowe will speak about her documentary. The reporting in the film explores the connections between the conflict in South Sudan and in other parts of Sudan, including Darfur, probing the larger questions of identity and ethnicity. Through video and written pieces, they gauge the current state of South Sudan — taking a pulse on the Southern Sudanese people’s hopes and fears for the future. The film is being shown in conjunction with the Museum’s exhibition, An American Story: Finding Home in Fairfield County. Proceeds from the film support the health care and education projects initiated by the three young men the film features. The screening at the Fairfield Museum is free of charge. More information about Rebuilding Hope can be found at http://rebuildinghopefilm.org/. The Fairfield Museum & History Center and Museum Shop, located at 370 Beach Road, is open seven days a week, 10am-4pm. Members of the Museum and children under 5 are admitted free. For more information, call 203-259-1598 or visit Fairfieldhistory.org. The Fairfield Museum relies on funding from individuals, corporations, and foundations. The Museum is especially grateful for support from the Department of Economic and Community Development, Connecticut Office of the Arts, the State of Connecticut, Town of Fairfield and Fairfield County’s Community Foundation.